Setting up and maintaining your home PC network is easier than ever before with Windows 7--but that's not saying much. Many networking issues still aren't easily fixed from Windows 7's control panels. That's why we've compiled a list of common networking problems and their quick fixes. If your system's connection to a network is unreliable, or you're getting IP address conflict error messages, try renewing your IP address. First, click on the Start button, navigate to the Command Prompt (Start Menu, Applications, Accessories, Command Prompt), right-click it, and select Run as Administrator from the menu. Then type ipconfig /renew, and press Enter. That should do it. Renewing a system’s IP address using the ipconfig utility will renew its lease on an IP address and restore its connection to a network. Whenever you type a URL into a Web browser, your PC asks your domain name service server (DNS server) to translate that URL into an IP address, and caches that information. That cache can occasionally become outdated or corrupt, which can cause Internet connection problems. 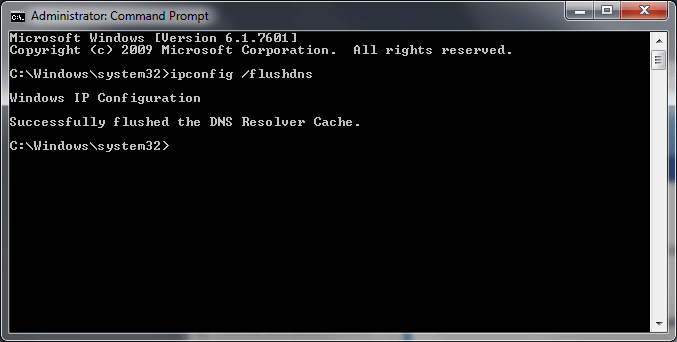 To clear your DNS cache, open the Command Prompt with Run as Administrator, type ipconfig /flushdns, and press Enter. Flushing a system’s DNS cache will wipe out any stored Domain Name Service data. Restarting a Windows 7 system will also flush its DNS cache, but if any applications (malware, perhaps) are altering the cache, flushing manually could help. Your broadband modem's connection to the Internet will occasionally become unreliable, and restarting it can fix that. The same trick also occasionally works for the connection between a router and a broadband modem. To reset your broadband modem and router, disconnect their power cables and leave the modem and router off for 30 seconds. Don’t just press the power buttons--that can occasionally put modems or routers into standby mode rather than totally killing the power. Next, reconnect the modem's power cable to restore its power. Wait a few moments for the modem to renegotiate its connection to the Internet and establish a solid link; then plug in the router. Once the router has completely booted up, follow the steps outlined earlier to renew your system’s IP address. You should then be good to go. The vast majority of wireless broadband routers available today ship with their wireless security features disabled. This makes it easy for novice users to set up a wireless network in their homes or offices, but it also leaves your network vulnerable to prying eyes. Although the exact procedure necessary to enable wireless security will vary from router to router, in general the steps required to access the pertinent options will be similar. Assuming your router/gateway’s IP address is 192.168.1.1 and you’re connected to the network, open a Web browser on a system that is phsyically wired to your network and type 192.168.1.1 into the address field. You’ll then be prompted to enter the necessary credentials to access your router’s configuration menus (consult the manual for your router’s default username and password if you didn’t set them yourself. And if you didn’t set them yourself, change them right away to prevent unwanted tampering). To prevent unwanted users from accessing your wireless network, be sure to enable some sort of Wi-Fi security. Once logged into the router, you’ll see a number of tabs or links to various control panels. Click on the Wireless tab or Wireless Security tab. On the resulting screen, you should see an area where you can set the Security Mode, with options like WEP, WPA, WPA2, and others listed. If you have relatively current wireless devices that support the standard, we recommend enabling WPA2 Personal on your home network because it offers stronger encryption that other methods. If your devices don’t support WPA2, try WPA, or as a last resort WEP (the weakest available encryption method). You’ll then have to set the encryption type (TKIP or AES; either one is fine) and then define a wireless password or key. Make the password/key something that would be difficult to guess and include letters, numbers, and special characters. Save the settings and reboot the router; at least a basic level of Wi-Fi security should now be in place. Some applications require that certain network ports be opened and forwarded to the correct PC for some of their functions to operate across the Web. Game servers are a great example: If the correct network ports aren’t opened and requests on those ports aren’t forwarded to the correct PC, inbound traffic on them will never make it through your firewall. As always, though the exact process necessary to forward ports will vary, the steps required to access the pertinent options within any router will be similar. Check out our guide to port forwarding for more information. In our example, incoming UDP and TCP traffic on ports 8888 – 8889 will be forwarded to the computer with IP address 192.168.1.115. Connect your PC to the network, open a Web browser and type your router's IP address (usually 192.168.1.1; check your manual to be sure) into the address field. Log in with your name and password, then find the NAT (Network Address Translation), Firewall, or Port Forwarding menu. You’ll need to create a ruleset that tells your router which protocol to use (UDP, TCP, or both), defines the port range you want to forward, and specify to which IP address the traffic on those ports should be forwarded to. For example, if the machine running the application you are troubleshooting has an IP address of 192.168.1.115, put that string into the IP address field. Save the settings to enable the rule, then reboot the router to finish the job. Sometimes port forwarding isn’t enough and you’ll have to give a system unfettered access to the Internet. In those cases, the machine can be placed in a network DMZ, or demilitarized zone. Putting a system in a DMZ means all of its ports will be accessible from the Internet; such a situation is very dangerous, so don’t take that step unless it is absolutely necessary. Putting a system in a DMZ allows all of its ports to be accessed from the Internet. Let's assume that your router IP address is indeed 192.168.1.1 and that you’re connected to the network. Open a Web browser and type 192.168.1.1 into the address field. Log in to your router and find the NAT (Network Address Translation), Firewall, or DMZ menu (the DMZ options will be under a menu with one of those names). When you're on the DMZ configuration menu, you’ll need to enable the DMZ and specify the IP address of the system you’d like to place in the DMZ. 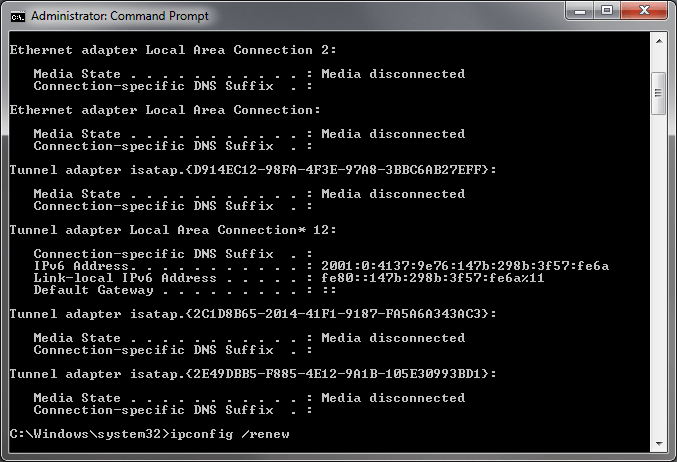 Enter the IP address, save the settings, and reboot the router; that system should now be in the DMZ. Like any other peripheral in a Windows PC, the network controller requires drivers to operate. Those drivers tell the operating system how to use a device and occasionally need to be updated to resolve issues or add new features and capabilities. Updating network drivers in Windows is usually done in one of three ways: through the Windows Update software, by downloading and running an executable installer, or by manually choosing a driver through Device Manager. When possible, use the first method: Updating a driver through Windows Update is easy and automatic. Unfortunately, manually installing a driver through Device Manager is a bit more complex. If you’ve downloaded a driver for your network interface card from the manufacturer’s website and the file contains nothing but some .inf or other nonexecutable files, you’ll need to manually install it using Windows Device Manager. To do so, click on the Start button and type Device Manager in the search field. Press Enter to open the Device Mananger, find Network Adapters in the list of devices in the system, right-click on your network controller, and select Update Driver Software from the menu. In the new window that opens, click on the Browse my computer for driver software button; then click on the Browse button and navigate to the folder where you placed the newer driver you downloaded. Click the Next button, and the driver should install automatically. Windows 7's built-in firewall constantly asks you to allow or deny an application's access to your network. If you've mistakenly blocked an application and want to unblock it (or the other way around) you'll have to manually change some settings in the Windows Firewall control panel. 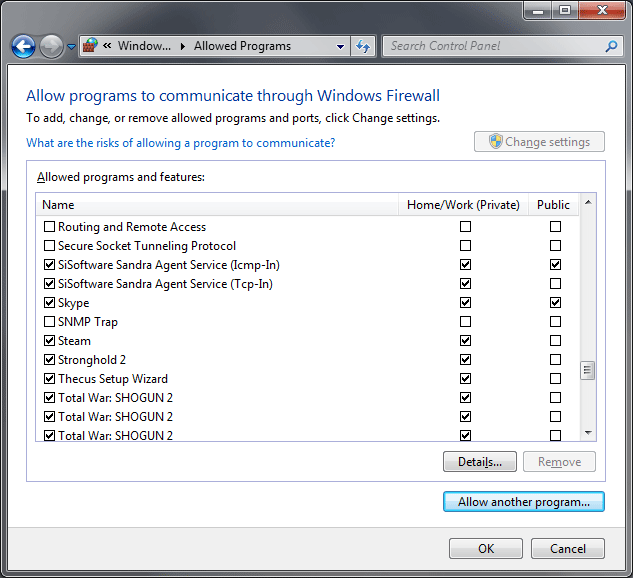 You can block or allow a program’s access through the Windows Firewall in the Allowed Applications control panel. Click on your Start button, type Allowed Applications in to the search field, and press Enter. In the resulting window, all of the applications installed on the system that were flagged by Windows Firewall will be listed. If there is an application communicating through the Firewall that you now want to block, click the Change Settings button at the top of the screen, then scroll through the list of programs until you find the application, and disable it from accessing the Internet over Home/Work or Public networks. Conversely, if you'd like to allow a program that was previously blocked, find it on the list, and select the appropriate boxes next to the entry. With so many connected devices now on the market, there may come a time when you want to scan your entire network to see exactly what devices have obtained IP addresses and are consuming resources. Your router may be able to check the status of connected clients, or you could use a third-party application that will more comprehensively scan an entire range of IP addresses to find and obtain information on the connected devices. Angry IP Scanner will scan a network and identify all of the IP addresses in use within a given range. 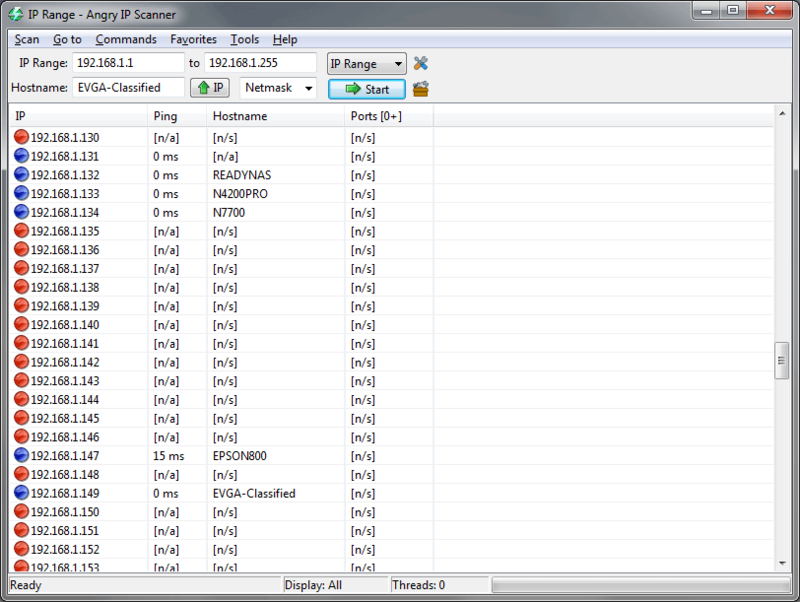 Many free utilities are available that will scan a network, but we’re partial to one called Angry IP Scanner. Simply download and run the executable--the program doesn’t even need to be installed. Enter the IP range you’d like to scan, click the Start button, and a few minutes later you’ll have a list of every active IP, what the ping time was for the device, its hostname, and which ports it has open. Right-clicking on an active device in the list will reveal more details; it will also allow you to ping the IP address and connect through a Web browser or FTP client. Finally, one problem that may be beyond your immediate network: Is your Internet connection unstable--and you can't figure out why? A couple of utilities built into Windows 7 may help. Ping and tracert (traceroute) can help you find out if your Internet issues are with your home network or with your ISP--or somewhere in between. 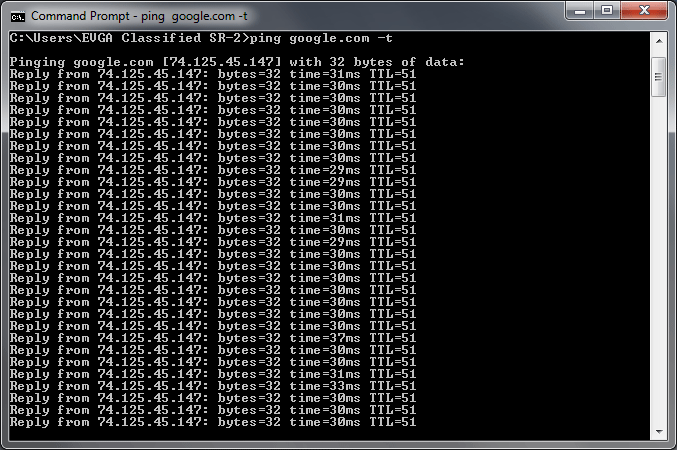 The ping tool can be used to continually ping an IP address to check for connectivity problems. Performing a continuous ping on a known good website (we like to use google.com) will allow you to constantly monitor a connection and see if packets are being lost or the connection is dropping. Open a Command Prompt window (Start, All Programs, Accessories, Command Prompt), type ping google.com –t, and press Enter. Your system will then start continually pinging the Google website. If the connection is stable and reliable, you shouldn't see any errors, just replies from the IP address with ping times and other data. If, however, if the connection between your PC and Google is broken for whatever reason, ping will report that there was no response from the server. Tracert is another useful tool that will list the route and measure transit delays of packets across a network. To use Tracert, open a Command Prompt window and type tracert google.com. This will essentially map out the path from your PC to a Google server, listing the IP addresses of the servers and switches in between. Usually your packet's first few hops will start in your home network, then go through your ISP's network, and then eventually find their way to google.com. If the packet doesn't make it out of your network, the problem is inside your network; if it doesn't get past your ISP's network hubs, your ISP probably has a network outage or equipment failure (yes, a busted Internet connection isn't always your fault).